Shaynna Blaze: THESE SHOES WERE MADE FOR.......BATHING? Now this has to be a Carrie Bradshaw must have! 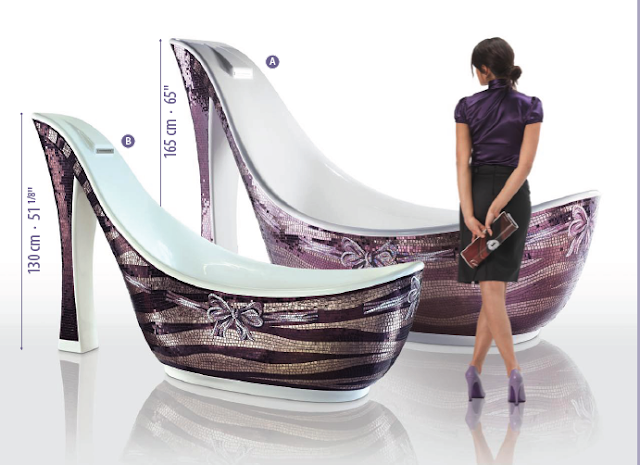 Designer bath tub in the shape of a shoe? 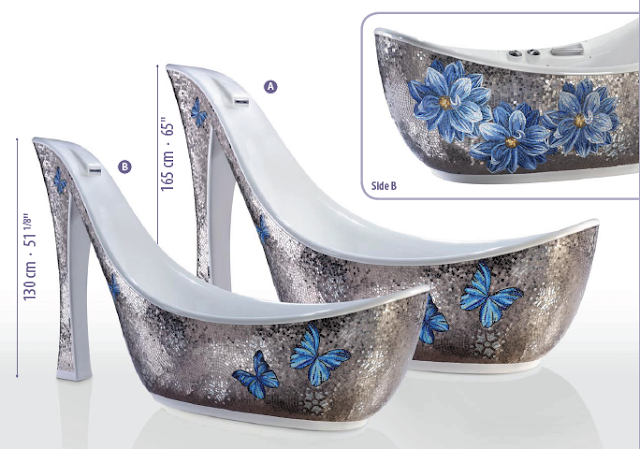 It is not to everybody's taste but there must be a market out there for ladies who have a whole room (or wing of a house) dedicated to shoes. These Audrey and Audreyette baths have been created by SIGIS who are known for their incredible mosaic designs and strong colours. 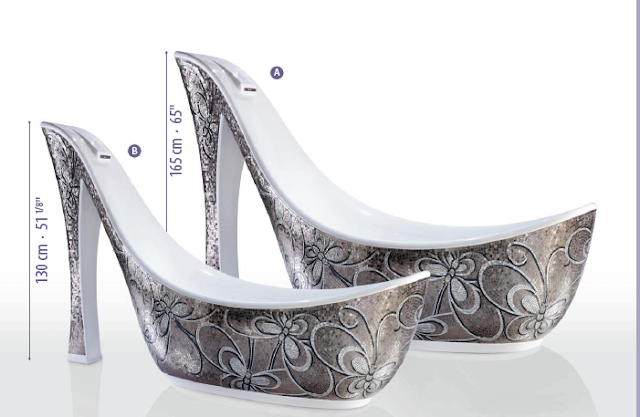 The bath is created in a mold and then the tile designs are put on by hand. I cant even imagine how much it costs and as I am asking, I obviously cant afford it! What I do love is the waterfall spout that will tumble water down on to your luscious locks making you feel like an expensive, pampered goddess. I still think they should have called them Carrie and Carriette! Would you buy something like this if you could afford it? Oh what fun! If I had the $$, these would be a must have. Life is all about fun, Jean. I like your style!